From the time I wake up in the morning, I am exposed to different marketing messages. When I read news online or check emails, different advertising with bright colored images or eye catching phrases are trying to grab my attention. When I walk around the city or ride a subway train, billboards and posters are popping up all over the places. Marketing is everywhere. It’s on your phone, on the web, on the street, on TV and really, anywhere the eye can see, it’s likely to see an ad. Are’t you just tired of it? 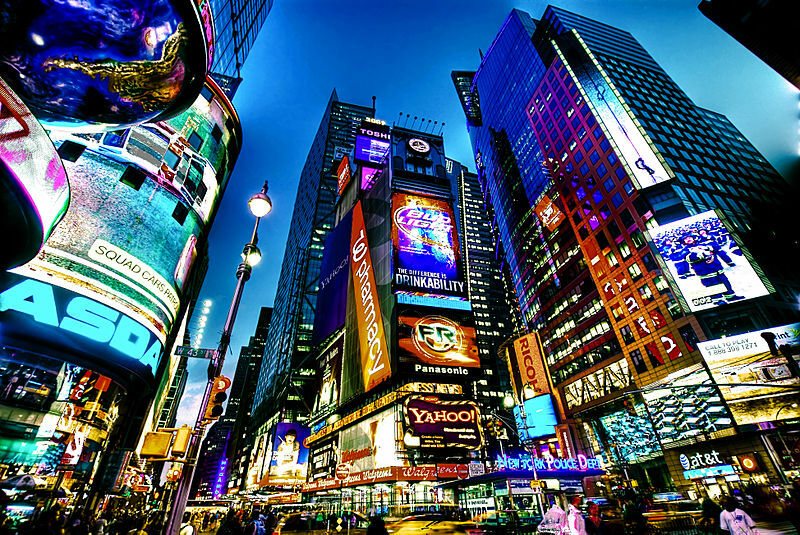 Some research says the average person is exposed to 287 pieces of advertising each day. But how many of them do you remember seeing? Not many i bet. The problem is that many advertising agencies are terrible story tellers. They put up boring advertising that no one feels related or connected to the product or service they are selling. It’s like reading a dreadfully long and tedious textbook, you read and then you forget. One of the solutions for marketers to stand out from the overcrowded marketing campaigns is to make your marketing useful! Give consumers something they want or need. Especially in the digital marketing world, marketers should use all the booming technologies to implement the concept of “marketing as service”. One great example is Kraft food. Kraft developed this awesome free app called “iFood assistant”, where you can view thousands of recipes and cooking videos. It also provides daily suggestions for dinner. It even generates a shopping list for items you need when you decide on a recipe. And what is more, it provides you a store locator so you can easily find a nearby grocery store. This really interprets what “marketing as service” means. But how do you get there? If we, as marketers, are trying to create an interactive and desirable experience that can serve our consumers in some ways. Usability and accessibility are keys. It also needs to be visually appealing to the consumers so they have the urge to interact with our messages. So when we design a marketing message for a product or service, either via an app or a website or an ad, the whole user experience (UX) should always be the priority of our list. Make the design easy, fun and “make sense” (Intuitive) to our consumers. Some great examples such as the “Pull Dow to Refresh” function many iphone apps have. It’s a little function that makes a big difference in users’ experience when the users interact with the apps. You don’t have to worry about finding the “hidden” button that marked “refresh”. All you need to do is pull down the screen and release. 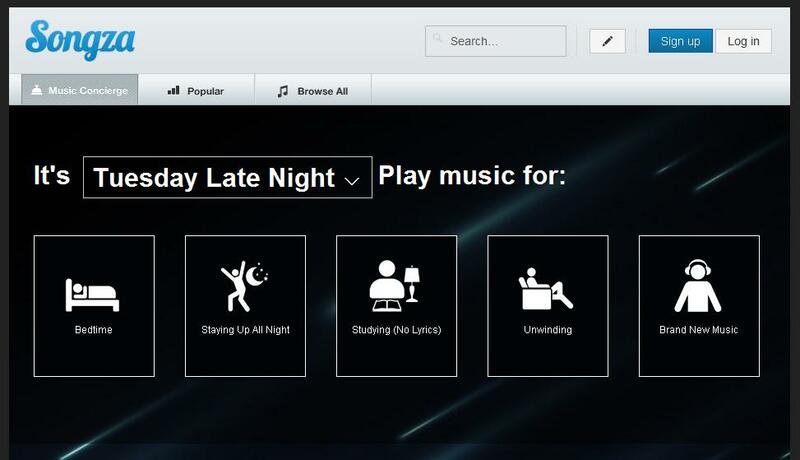 Another good example is Songza, a website i first heard of from Avinash Kaushik’s blog Occam’s Razor and i am completely in love with the website now. It’s a online radio station like Pandora, but the difference is it’s smarter and simpler. When I open the website tonight, it automatically set the time and give me five options for the activities i may be doing at this moment. Well, i am writing this blog, so i pick “Studying No Lyrics”. Then it will ask me to pick up a genre then a playlist. It takes five seconds and I get the music I may enjoy. The good thing (or the bad thing) is that marketers are usually pretty creative. And we usually understand our consumers pretty well. We probably have gazillions of ideas that can make the user experience appealing and fun. But how do you make all the ideas happen? 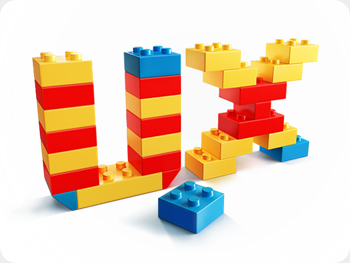 When you are about to create and design the marketing message, the UX design concept comes in. There are great tools available for marketers to draw blueprints of how they vision the UX design. Wireframing is a great way to start the process. And tools such as Balsamiq can help you to easily do that and you can show the framework to your designers so they can implement the ideas. One big challenge when marketers try to create a great user experience is the world is changing so fast and so do consumers’ needs and wants. As marketers, we have to be up to speed on satisfying consumers’ demand. We have to be fast when responding to changes. Many times we even need to think ahead of our consumers and be prepared for changing market conditions. This video gives you more insights on what agile marketing is about. So are you ready as a marketer or an agency to adapt all the changes? Are you ready to transform into a new agency model, where every decision or strategy has to be agile, innovative and integrated? Are you ready for everything to go digital? And really, are you ready for the new generation of consumers? ← Sketch Like a Pro!